WHAT: A community-based book club to focus on human rights stories in literature. 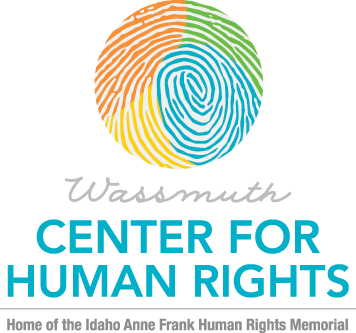 WHO: Co-founded by local human rights community leaders Marilyn Shuler and Lisa Uhlmann, with support from the Wassmuth Center for Human Rights and Rediscovered Bookshop. WHEN: Second Thursday every other month. WHERE: Idaho Black History Museum, 508 E. Julia Davis Dr. COST: Free, other than book. Sam and Esther Goldberg met in the Polish forest – just outside of the Treblinka Death Camp. It was August 3, 1943, just one day after Sam escaped the Camp during a prisoner uprising. With 870,000 murdered at Treblinka, Sam was one of approximately 65 to survive and live until the end of the war. Esther had been hiding in that patch of forest for a year. They met and after hearing of the prisoner revolt, she took him to the Righteous Gentiles who, at great danger to themselves, hid them in their barn for three days while the Nazis, Ukrainians and Poles scoured the area looking for escapees. Deciding to stay and hide with Esther, they dug a forest pit where they “lived” when it was not freezing. They subsisted in the pit and the barns – hungry, cold, and scared – for another year until they were liberated by the Red Army in July of 1944. This is only one piece of their harrowing story of survival. This book tells the story of Sam and Esther, Holocaust survivors, who lost their entire families because of Hitler’s Final Solution. The author, Karen Treiger, is Sam and Esther’s daughter-in-law. She and her family traveled to Poland to walk in Sam and Esther’s footsteps and to meet the children of the Righteous Gentiles that helped them survive. It was an intensely emotional experience for both the Goldberg and the Styś Families. Also, with the help of a Polish Priest, she was able to locate and meet a Goldberg cousin they never knew they had. My Soul is Filled with Joy: A Holocaust Story brings to life the horror of the Nazis’ actions and the toll that it exacted on so many Jewish families. This is also a story of hope, love and determination; of a family rediscovering the path taken by their parents to find life and freedom in a new world. Sam and Esther’s story is one of love and the will to live no matter what they had to endure. It reminds us that we are still learning the lessons of the Holocaust.